NOW PAUL G. (Bud) "HAMAKER RANCH"
We were leaving Kansas, going onward to Nebraska where the future looked brighter and more prosperous. During our last two years in Kansas, the drought had taken our crops and we could hardly make a living. We had milked cows and I had raised turkeys. Before we left, I sold the turkeys for fifty dollars, but we brought the cattle along with us. It was the beautiful fall day of October 18, 1888 when our little party left Kansas. It consisted of my husband, R. S. Q., his brother, Dave, our three boys, William Carl (Carl), Ray and Daniel (Tot) and me, Alice B. My husband and Dave rode on horseback and drove the cattle. I drove the covered wagon into which was loaded all of our household goods, supplies for the journey, and a plow. Carl, my oldest son, who was five years old, would sometimes help drive the cattle. We had only sixteen head. calves would become very tired. We had our own milk and butter, but our other supplies were bought along the way at the few places where supplies could be obtained. When we ran out of bread, we would have to stop at a ranch house and bake on their stove. I shall tell you about a stretch of land, called Death Hallow, which we passed through. It was about eighteen miles long, and there was not a living thing in that eighteen miles except grass, and it was tall, tough and coarse. No people, rabbits, birds, deer, antelope or any other kind of an animal lived there. We even had to take our own fuel with us for our fires at night because there was not even any wood. One day we saw a few cedar chips that some one had left. I got out and picked them up so we would have something to start our next fire, as we were nearly out of fuel. That same afternoon I gathered some of the tall, course grass and twisted it so we could use it for fuel also. Soon after we had left Death Hallow behind, we came to a small settlement. We stopped there for a few days to rest ourselves and our weary, footsore cattle. While we were there we stayed at the home the Ravens. I baked bread for us and helped Mrs. Ravens cook and bake her bread. The people in this settlement had no milk nor butter. We needed supplies and the people there were willing to give us the supplies we needed in exchange for milk and butter. We were very glad that we could get our supplies this way. Most of the people who lived on the ranches and in the few settlements were pleasant and very hospitable; however, this was not always true. One cold, stormy and very windy night we came to a rancher�s home in the sandhills. We stopped and my husband went to the house and asked the old man, whose name was Nenzell, if we could stop for the night and use his stove on which to get out supper. The old man was very disagreeable and cranky. That was the answer he gave my husband. My husband said, �Do you want us to start a fire out there tonight with this wind blowing like it is?� There would be great danger of setting a terrible prairie fire, no matter how careful we are, and we must have a fire to keep us warm and cook our supper�. 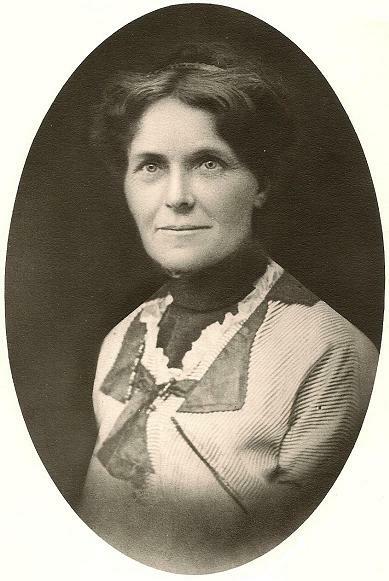 Alice B. Hamaker Go on! Don't stop! was the old man's only answer. My husband came back to the wagon and said to me, "Go on up to the house with the children and get supper". I went to the house, went in, and prepared our supper on their stove. The old man did not say a word. The wife and two daughters of fourteen and eighteen were slightly more pleasant and hospitable than the old man. The two daughters, who had just come in from herding sheep, were just eating their supper of bread and beans. The next morning, after staying all night in their house, we prepared to again be on our way. The weather was nice again. 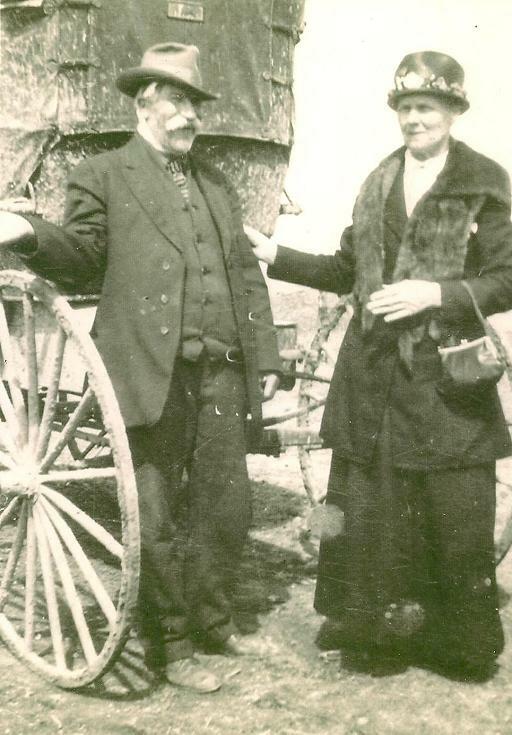 Before we left my husband bought some hay from Mr. Nenzell for our cattle; also he bought a plow and a corn planter. One of the difficulties we encountered was fording the rivers. At one river, the Calamus, we had trouble due to quicksand. We searched for sometime before we could find a suitable crossing; then we could take only a few cattle across at one place and had to find another place for some more to cross. We had to change the crossing places because it was more dangerous to cross when the sand was riled up. If we took the whole herd across at once, those going across last would not have been able to get across. This was the only river that we had much trouble in crossing. Most of our journey was made without encountering many great hardships or disasters. It was tiring to both men and beast and a very long journey. The weather was good most of the time. There were a few cold days and a little snow but not enough to hinder our progress very much. On the 10th day of December, 1888, we reached our journey's end---Deadman, Sioux County, Nebraska. Our cousin and my mother-in-law saw us coming off in the distance and they came to meet us. We were happy to be with our relatives once more and happy to reach the end of our journey-our new Nebraska home and our home is still Nebraska! That same year (1888), Burlington railway crews reached Dawes County and established depots along the proposed line wherever they were needed. As the line of oak ties and iron rails made their way across the county, a camp was established at the crest of a large hill through which the Belmont tunnel was to be dug. complete the track through steep hills, deep ravines and thick pine trees that make up the Pine Ridge and the 750 ft. tunnel carved through "solid rock". The dirt and rock was removed from the tunnel by hand and carried away from the site in horse drawn wagons. In August, 1889, the tunnel was opened for use and allowed continuous rail travel locally from Crawford to Alliance and ultimately, Belmont was a railway stop for passenger trains on the way to the Black Hills in South Dakota. Bud's grandmother, Mabel, milked cows and separated the cream. She would take the cans of cream to the depot in Belmont to send them to the creamery in Alliance to sell. The Belmont Tunnel is Nebraska's only railroad tunnel. The tunnel was enlarged and improved in the 1920's and discontinued in the 1980's when double track was constructed through the hill to accommodate the coal trains. The tunnel and "ghost town" of Belmont are located just about a mile east of "Down Home" Ranch Guest House - fun places to explore!! You might even find a few Hamaker names included in the "Tunnel Graffiti." Also, stories have been told about certain young Belmont school boys proving their "man hood" by standing in the cutouts on the inside of the tunnel WHILE a train passed through! R.S.Q., Alice and their three children Carl (born March 20, 1880), Ray (born July 3, 1882) and Daniel (Tot) (born July 29, 1887) continued to live in the Deadman area just southwest of Crawford for approximately 10 years. Alice gave birth to 4 more children in that time, Iva (October 12, 1889), Paul (February 26, 1892), Frank (April 9, 1894) and Bertha (April 17, 1896). In 1898, a deed was recorded to Alice Hamaker for 160 acres in the Belmont area, a quarter section south of the North Belmont Road and a quarter mile east of HWY 2/71. That portion of land was purchased for the grand total of $75.00 and was the beginning of the "Hamaker Ranch" as known today. R.S.Q. and Alice continued to purchase and homestead land adjoining that first quarter section. original and final papers in the matter of your homestead, your name is given as R.S.Q. Hamaker. The Commissioner requires you to furnish an affidavit within sixty days showing at least one Christian name in full." It appeared there was a problem with R.S.Q. convincing the Commissioner his full name consisted of just initials!! He must have furnished the necessary documentation to prove his legal name as he was successful in securing his "homestead." The eighth day of October, in the year of our Lord one thousand nine hundred and one (October 8, 1901) and of the Independence of the United States the one hundred and twenty-sixth, a Patent was issued to R.S.Q. Hamaker for a 160 acres (quarter section) pursuant to the Act of Congress approved 20th May, 1862, "To secure Homesteads to Actual Settlers on the Public Domain." By The President: T. Roosevelt. Through the years, additional land was acquired by R.S.Q. and Alice Hamaker. The last 40 acres bought in 1930 completed the Dawes County portion of the ranch as it is known today. R.S.Q. and Alice built a small house on the homesteaded land which was located on the west side of where the highway is today. They lived there until they built a big, beautiful, 2-story house on the east side of where the highway is today in 1911 (now known as "Down Home" Ranch Guest House). The house has 4 bedrooms upstairs, one bedroom (now laundry room) downstairs, a parlor or formal living room, dining room with bay windows and kitchen with a "Home Comfort" wood-burning stove which has since been retired to the basement used for occasional heating purposes. The house has a traditional 4-pillared porch on the front side of the house and a porch/mud room which was an addition on the back side of the house in the 1980s. 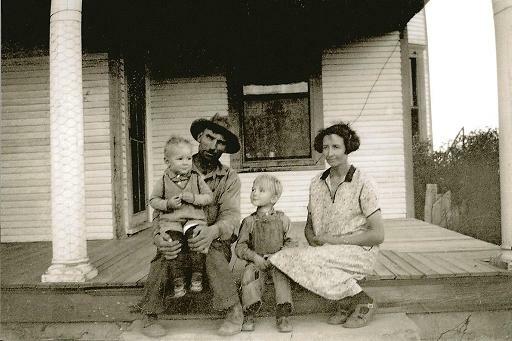 Paul and Mabel Hamaker with their two sons Bud and Jerry In 1921, Paul, (R.S.Q. 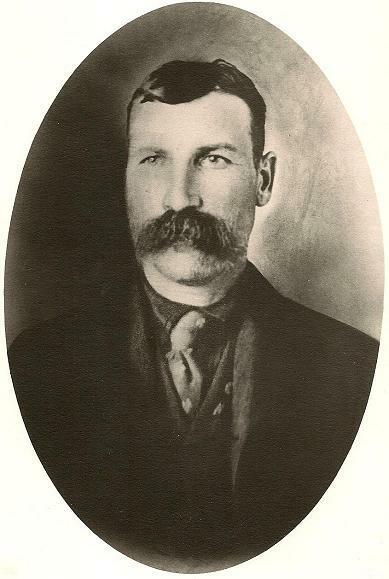 and Alice's son) and his family, moved from their homesteaded land in Sioux County to the house on the west side of the highway to help his parents run the ranch. Paul married Mabel Claire McHenry of Belmont, NE in 1913. They had seven children, Pauline Claire (born 1913), Alice Aline (born 1916), Florence Edna (born 1918), Frances Effie (born 1920), Betty Jo (born 1922), Paul Erwin (Bud), born 1924 and Jerald Dean (Jerry), born 1927. On November 30th, 1932, R.S.Q. and Alice deeded 10.32 acres to the State of Nebraska. The State proceeded with the construction of HWY 2/71 which passes through the Hamaker Ranch. Before the construction of the highway, the Hamakers and their neighbors traveled to Crawford byway of "Breakneck Hill" Road which is about a mile east of HWY 2/71 off of the North Belmont Road. The Breakneck Hill Road is part of the historic Sidney-Deadwood Trail and was an important link between Sidney, Nebraska and the Black Hills where gold had been discovered in 1874. The journey down Breakneck must have given the gold seekers a "rush" as they caught their first glimpse of their destination "The Black Hills." The would-be miners tried to find the shortest route to their new found "fortune." The railroad dropped men and supplies off in Sidney, and from there, they would venture over the 267-mile trail to the Black Hills in search of gold. From 1875-1881, the trail brought many men to the mining towns of Deadwood and Custer, South Dakota. The trail saw a lot of traffic, mostly in the form of stagecoaches, freight wagons drawn by oxen or mules, herds of cattle and riders on horseback. Just imagine the different characters that might have rode over the Sidney-Deadwood Trail- "Buffalo Bill" Cody , was scouting for the military, Calamity Jane, frontierswoman and a rider for the Pony Express, Sam Bass, trail boss who squandered cattle drive money in poker games in Deadwood, Whispering Smith, railroad detective, Doc Middleton, desperado, road agent and bandit, General George Custer, cavalryman and Indian fighter, Wild Bill Hickok, expert marksman, stage coach driver & lawman-he died in 1876-shot in the back of the head in the No. 10 Saloon in Deadwood, South Dalota. He was holding a pair of aces and a pair of eights (fifth card unknown) and in poker to this day such a hand is known as the "Dead Man's Hand." Lots of different gamblers probably rode over the Trail - Doc Baggs, Jim Bush, Jim Lavine and Rebel George. They all had a different idea of how they were going to seek their fortune - at the "poker tables" in Deadwood. The Sidney-Deadwood Trail and "Breakneck Hill" (which was tortuous - hence the name) is just about a mile east of "Down Home." You can still saddle up and ride to town via the historic "Sidney-Deadwood Trail." R.S.Q. died December 4, 1932 and Alice continued to live in the 2-story house until her death June 16, 1937. Soon after his mother's death, Paul, Mabel and their family moved into the big, 2-story house. In 1938, Paul bought his brother and sister's interest in the Hamaker Ranch in Dawes County and combined it with the land he owned in Sioux County which is now known as the Hamaker Ranch. In 1939, a huge Hamaker Reunion was held at "Down Home." It was probably the last Hamaker reunion, of that size, held at the big, 2-story house. 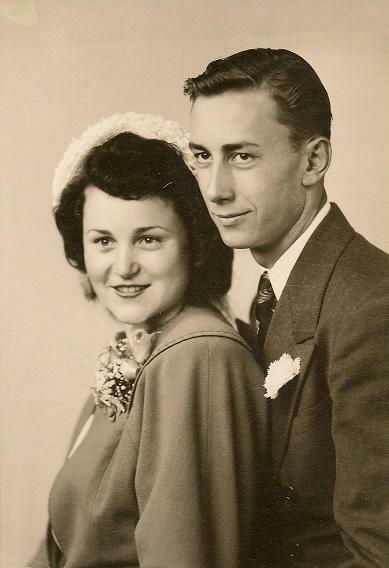 Jerald (Jerry-Paul and Mabel's son) moved back onto the Hamaker Ranch in June, 1946 with his wife, Elizabeth Ellen Sublet who he met and married in Bremerton, Washington while he was in the Navy. They lived in the old house on the west side of the highway. Jerry and Elizabeth had 5 children, Peggy Ellen (born June 9, 1948), Paul G. (Bud-born October 20, 1949), Mary Katherine (Kathy-born February 8, 1954), JD (born December 16, 1955) and Andy (born October 20, 1958). Jerry and Elizabeth tore down the old house they lived in and built a new house on the west side of the highway in the early 60s. Jerry continued to live and work on the ranch with his folks until his death October 24, 1969. His son, Paul G. (Bud), was in the service at the time, and he returned home to the ranch to take care of his grandparents (Paul and Mabel), mother (Elizabeth), brothers (JD and Andy), sister (Kathy) and the ranch. Paul and Mabel continued to live in the 2-story house (now known as "Down Home" Ranch Guest House) on the east side of the highway. Paul died in January, 1971 and Mabel continued to live in the house until a few years prior to her death in 1980. Bud married Sandy Morse of Phoenix, AZ in 1971. They lived in a mobile home on the ranch on the west side of the highway and Bud continued to run the ranch. Bud and Sandy have three children, Jamie Lynn born August 2, 1973, Jodie Lee born December 7, 1975 and Jerald (Jerry) Aaron born July 15, 1977.
daughter, Myia Lee born August 24, 1999, spent time living with their dad and grandpa in the old 2-story house through the late 90s and helped run the ranch. Jamie married Brad Erickson of Alliance, Nebraska May 16th, 2005. They have a son, Cooper James born February 1, 2006, who loves to spend time on the ranch! Elizabeth Hamaker died May 12, 2001 and Bud moved into the house on the west side of the highway in the fall of 2002. July 30, 2002, Bud purchased his brother's and sister's interest in the ranch from them which included both the Dawes and Sioux County land. Jerry (Bud and Sandy's son) married Kelli Jo Schoenthal of Chadron Nebraska July 11, 1997. They had two children, Garrett Grant born November 2, 1999 and Taylor Breanne born August 5, 2001. They moved into the old 2-story house on the east side of the highway in the fall of 2002. They had another daughter, Courtney Erin born December 30, 2003 Jerry worked as an electronics engineer and traveled some, but enjoyed helping his dad on the ranch as much as he could. Jerry and his family moved out of the old 2-story house in June of 2006. In the spring of 2009, Bud and Sandy decided to fix up the old house and turn it into "Down Home" Ranch Guest House. 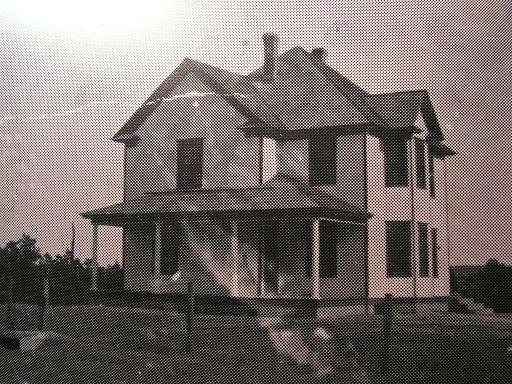 Bud's grandmother, Mabel, lovingly referred to the old house as "Down Home" hence became the perfect name for it! For 2 years, they worked on the house remodeling the inside and working on the yard and outside of the house. In July of 2010, they were hosts to their first guests - Marvin and Linda Morrow of Fort Worth, TX. They want their guests to feel "at home" and experience the "Good Country Life." On June 4th, 2011, Jodie (Bud and Sandy's daughter) will marry Todd Dean Wilkins of Crawford, Nebraska. They have chosen to have their ceremony performed on the old 4-pillared porch on the front side of "Down Home." That front porch has been a very popular place for such occasions: especially "Family Portraits!" Bud and Sandy live in the house on the west side of the highway where they continue to run the "Hamaker Ranch" and "Down Home" Ranch Guest House. Six generations of Hamakers have lived on and worked the ranch for over 100 years! In August, 2011, they will be receiving a Nebraska Pioneer Farm Award which recognizes farms or ranches family owned and operated for a 100 or more years. We'll be proud to receive such an award. Bud and Sandy hope to be able to enjoy the Country Way of Life until some day when they pass the ranch onto their children, and hopefully they can pass it onto their children and ON AND ON for another 100 years! !